No Point in Eating Stingily — Ginger writes. I’ve probably said it before but I’ll say it again. If you haven’t read this book, put it at the top of your “Books to Read in 2019” list. As usual, I spent hours copying all my favorite lines from the book into my commonplace book, and I’ll set about rereading those today and tomorrow since food is the thing this week. The quote I began this post with makes Capon’s point best of all, perhaps. He is big on eating when it is time for eating. Here’s an interesting thought: A couple nights ago, I sat on the living room floor looking through a couple cookbooks, trying to find new recipes for our family. 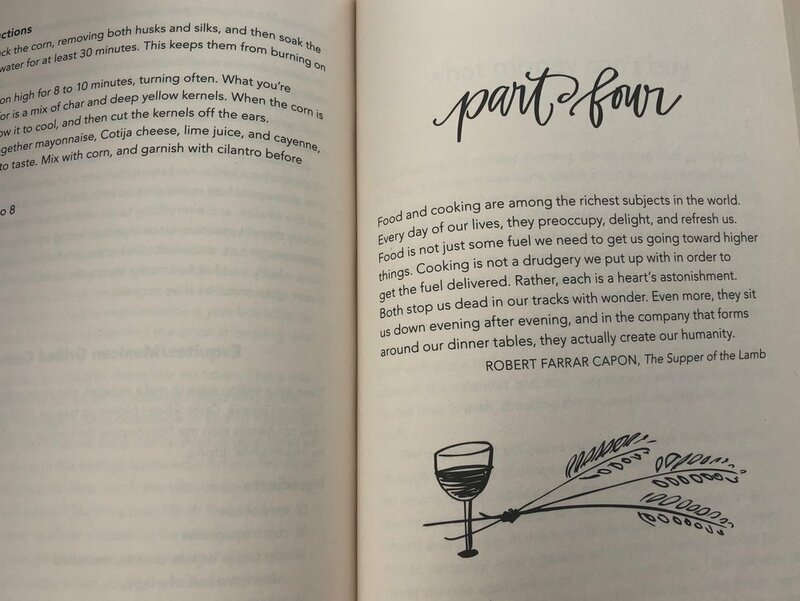 One of the books was Shauna Niequist’s Bread and Wine, which isn't a cookbook as much as a memoir scattered throughout with recipes. I noticed a Robert Farrar Capon quote she used from The Supper of the Lamb as the opening to one of her book’s sections. What I also noticed is that I had not marked or underlined the quote at all. I didn’t know Capon’s work when I first read Shauna’s book several years ago, or perhaps I wasn’t ready for it. I am a firm believer in the fact that only when we are ready, do things in life tell us things.